In this article, I am going to explain about the Active Directory user account unlock Event 4767. It also includes the steps to enable Event 4767 and disable 4767 user account unlock event. This event comes under the Account Management category/User Account Management subcategory of Security Audit. Note: Equivalent event of 4767 in server 2003/xp based machine is 671. 3. 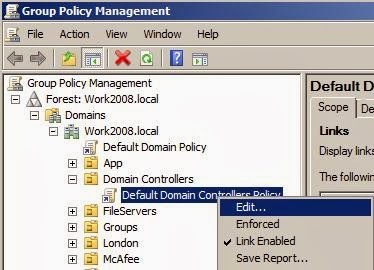 Expand the Computer Configuration node, go to the node Audit Policy(Computer Configuration->Policies->Windows Settings->Security Settings->Local Policies->Audit Policy). 4. Navigate to the right side pane, select the policy Audit account management, and set the success audit value. 4. 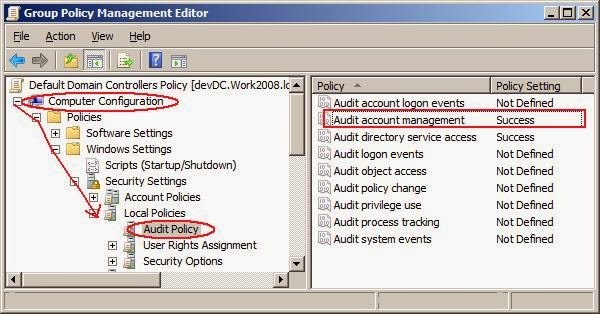 In Windows 2008 R2 and later versions, you can also control Event ID 4767 through Advanced Audit Policy configuration. 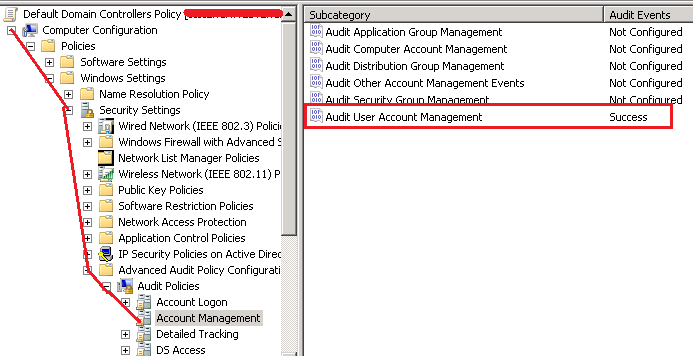 Expand the Computer Configuration node, go to the node Advanced Audit Policy Configuration(Computer Configuration->Policies->Windows Settings->Security Settings->Advanced Audit Policy Configuration->Audit Policies). And click Account Maangement, in the right side pane, enable success auditing for Audit User Account Management subcategory. You can disable or stop Active Directory User Account Unlock audit event (Event ID 4767) by removing success audit in User Account Management subcategory by using the following command.